The DNX7170DABS is packed full of useful features and is the ideal unit if you are looking for mobile connectivity with a host of AV functions. 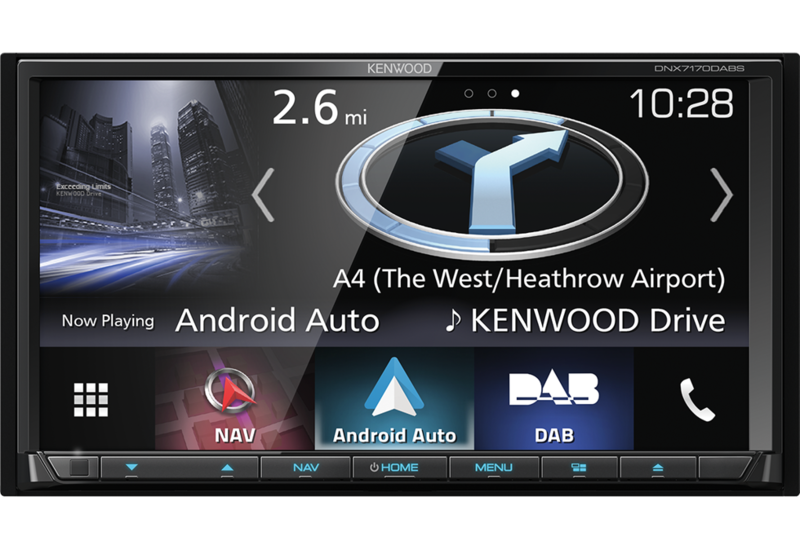 Not only does the DNX7170DABS feature Android Auto and Apple CarPlay mobile connectivity but it also allows optional external front and rear view cameras and Kenwood DashLink. 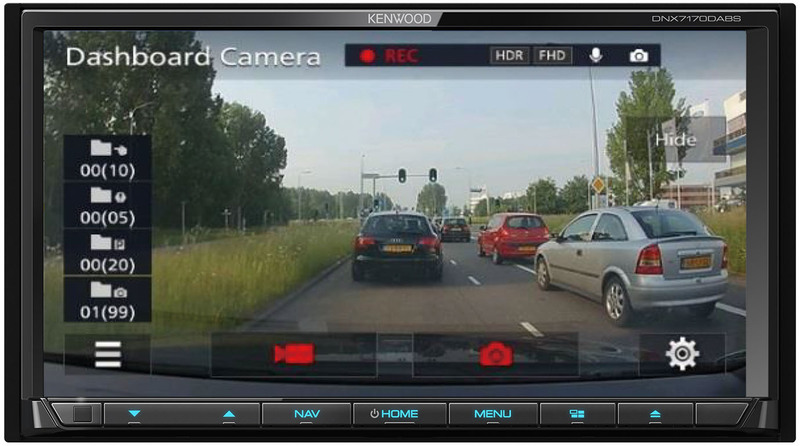 This means you can easily install the Kenwood DRV-N520, a fully integrated dash cam solution. 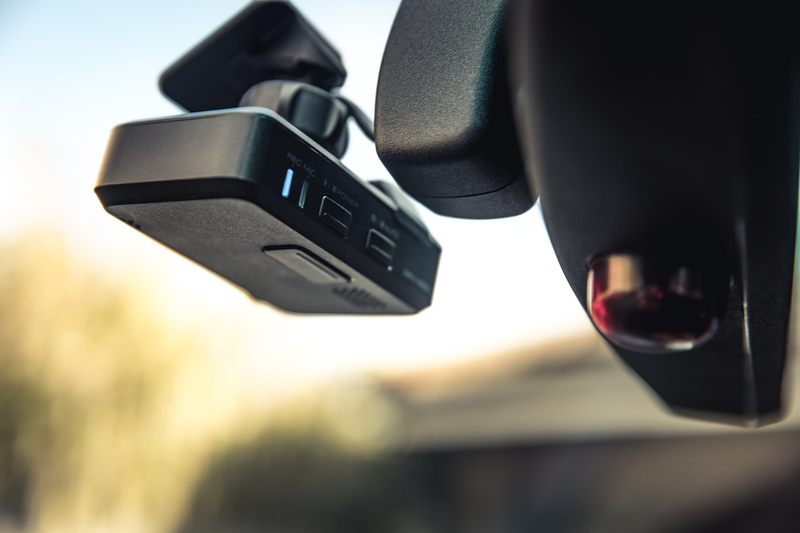 With built-in super HD and HDR functionality the DRV-N520 gives clear recordings of the road ahead. But that’s not all, a built-in G force sensor wakes the DRV-N520 up when your car is parked, so it can record if your car is bumped in a car park. A removable SD-card (included) allows you to playback recordings on a PC or MAC. 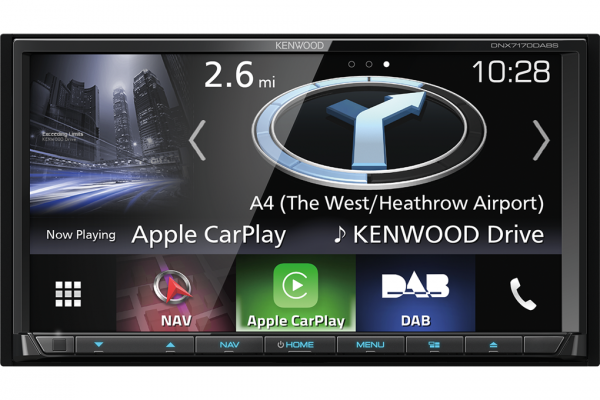 The DNX7170DABS features a super clear 7″ display, allowing you to enjoy Apple CarPlay or Android Auto in full double-DIN width. 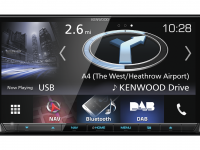 This allows you to safely utilise mobile functions while behind the wheel, use the DNX7170DABS to access phone calls, voice mail, send/receive messages, Apple maps/directions, iTunes music, playlists, podcasts and audiobooks while driving. A 1.5A quick charge function keeps your mobile battery topped up while on the move. 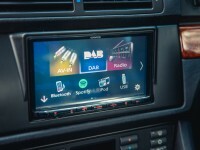 2 Phones Fulltime Connection allows you to have two phones paired to the unit at the same time, perfect for sharing the car with your family or if a passenger wants to wirelessly share music with others in the car. 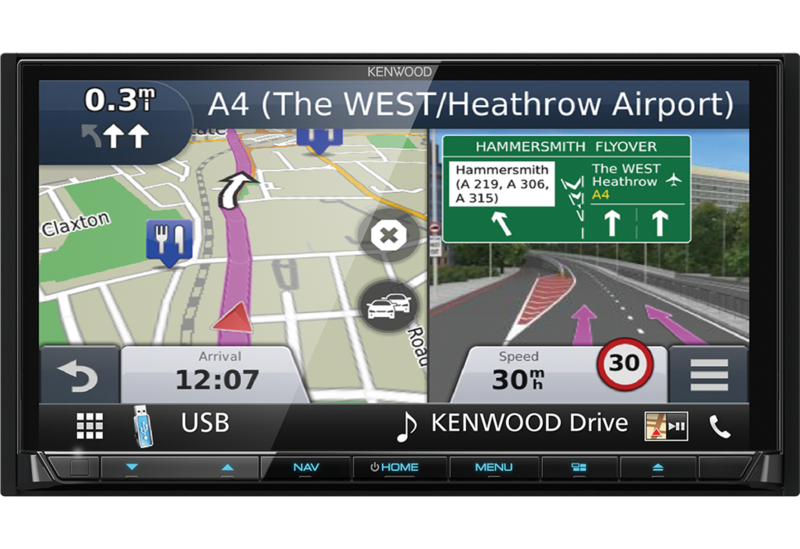 But that’s not all, the DNX7170DABS comes packed with Garmin navigation, a DVD mechanism and DAB+ as standard. The entertainment possibilities are huge!